Heeft u een vraag voor Lipe Sunset Forest Resort? Lipe Sunset Forest Resort is gelegen in Sunset strand in Koh Lipe eiland en een uitstekende keuze voor een ontspannen verblijf. Op slechts afstand, kan dit 2-sterren hotel eenvoudig worden bereikt vanaf het vliegveld. Dankzij de praktische locatie liggen alle belangrijke trekpleisters in de buurt van het hotel. Profiteer van de ongeëvenaarde dienstverlening en voorzieningen in dit hotel in Koh Lipe eiland. Dit hotel beschikt over vele faciliteiten die zelfs de meest veeleisende gasten zullen overtuigen. Het hotel heeft 10 prachtig ingerichte kamers voor gasten, elk met plasma tv, internet (draadloos), draadloos internet (gratis), airconditioning, balkon/terras. Hotelfaciliteiten als massage, tuin bieden alle gelegenheid om te ontspannen na een drukke dag. Ontdek een boeiende mix van professionele dienstverlening en een breed scala aan faciliteiten in het Lipe Sunset Forest Resort. Lovely little bungalow! Quite simple resort but my bed was comfortable, ac worked well, wifi as well. Staff ok and breakfest was not on the resort. They would drive me 4 min nack in town to have breakfest that was very basic. Area is quiet outside of center town but close to a beach. There are many hotel options on Lipe, some are quite expensive and some are cheaper. By using Agoda I thought I had a reasonable price for a 'Deluxe' room, but it seems I only paid for a 'Garden View' room - and I had to pay 6500 baht to upgrade - Perhaps not entirely the Hotel's fault - but as I was there for 2 weeks and the place was mostly empty, and never full, I thought this was a bit cheeky. OK - Now for the review. The room was barely clean - Cobwebs and dead insects on the walls - the shower was as powerful as a water-pistol and the wifi laughable. The staff seemed to change on a daily basis and the breakfast was served about a mile away in walking street. You got a lift to breakfast, but it wasn't worth getting up for - one fried egg, a tiny slice of bacon and ham, some awful toast a slice of tomato and a slice of cucumber. I guess the idea was that you would order more food and pay for it yourself. No kettle in room, dead leaves everywhere, and nobody seemed to care. Is like stay in the forest, fresh air, nice environment. Have a short path walk to sunset beach ( many fish here). A bit far to walking street. Great location far away from noisy "attractions,very close to beautiful beach.nice designed spacious bungalows although good cleaning will do them good,as there is unpleasant smell inside the huts (i've stayed there in 2 different huts) and they are unfortunately quite dirty. Nice staff.they also provide free rides to the main street. Room was very clean and cozy! Staff was great: so welcome and helpful. As for me, location is excellent: 2 minutes walk to sunset beach, and remote from walking street therefore very quiet and peaceful. Hotel provides a free pick up service to walking street. 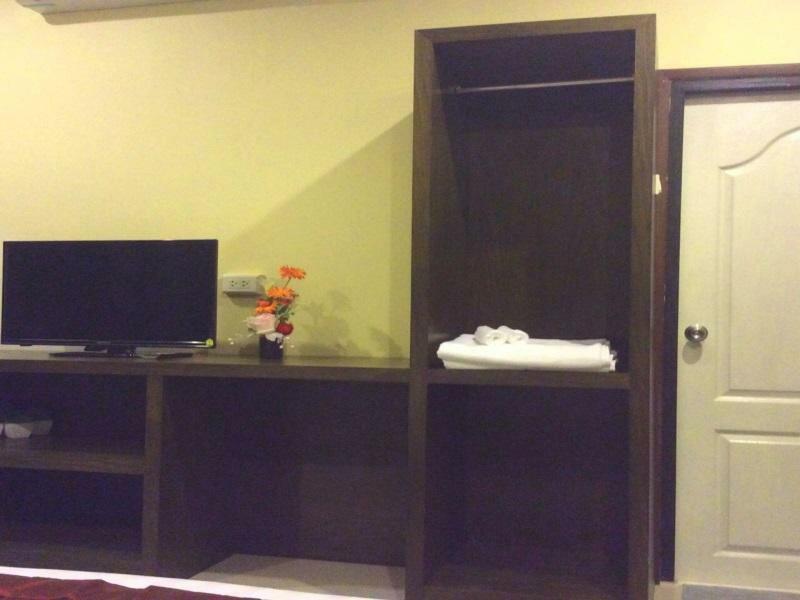 + nice modern rooms, free taxi service, very quiet location. - during our 5 days stay the room wasn't cleaned once. You only get towels and toilet paper after asking the hotel staff and they exhort you when you ask more then one time during your whole stay! The surrounding of the Hotel was pretty messy. You get the breakfast in a Restaurant in the Walking Street. We only were once in this Restaurant because we had to wait 2 hours for the breakfast and it was disgusting. It's better to go to another Restaurant at the beach and pay a little money for a great breakfast! overall of this place are great! but i felt some bad smell something on toilet. and more than mosquito. First time to Koh Lipe, the stuff is nice and kind. We came in high season, here is worth of money. Although its a bit far from walking street they provide free shuttle n The staff is excellent.. The staff at Lipe Sunset Forest are wonderful, which is what made our stay the best part. Unfortunately, the resort needs a lot of upgrades/renovations and is slightly over priced. I booked Garden Bungalow with A/C on Feb 2016. 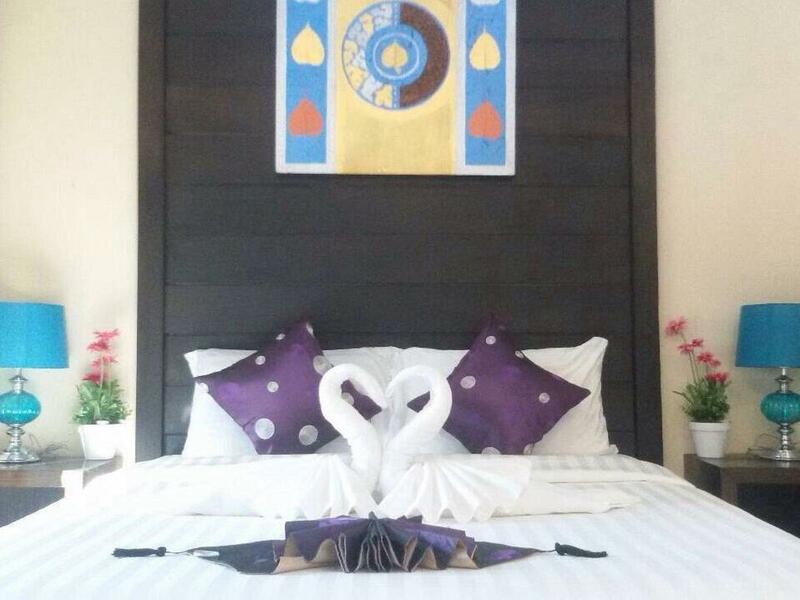 The hotel located 100 m from Sunset Beach and 700 m from Walking Street. However, they've provided free shuttle to walking street at anytime. 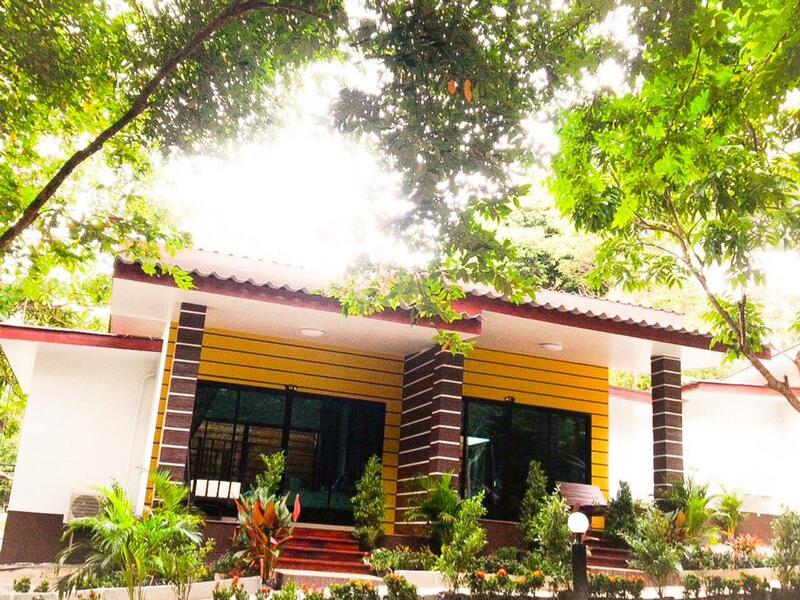 It is suitable efor those who are looking for hotel to chill down and away from noise. Free breakfast provided at Thai Lady Pancake Restaurant located at Walking Street (they will send and pick up you back). The restaurant served pork that might be considered by muslim travellers, but you can grab a lot halal food in walking street. Don't worry. The room was nice decorated but a bit tiny and not really suitable for more than 2 adults + 1 kid. The wall is so thin, I can't sleep on my first night because my neighbor banging is partner and my bed was shacking as well. I have mixed feelings on the sunset forest resort. The resort is quiet and near to sunset beach but it is pretty far from the walking street. Luckily, there are hotel taxis that will send you to the walking street for free but you have to walk back or grab a taxi back for 50 baht. There were frogs jumping around the roof less toilet. I have ants crawling on my pillow on the first night. If u enjoy nature being quiet and relax in the forest feel, this will be the place. It's very near sunset beach. Getting to walking street is abit challenging but they do provide shuttle service out of hotel. You just need to figure out the way back. U may wanna take a "taxi" for 50baht per person. Again, it's a small island. You could move from a place by walking and only if you were adventurous.